When you are looking for something fun to do with the kids this fall, some of the fall festivals in the region, like Oktoberfest, probably aren’t the best option. Yet there are many fall festivals and events near Cotswold that are great for the whole family. Here are some upcoming activities that you, and your kids, are likely to enjoy. 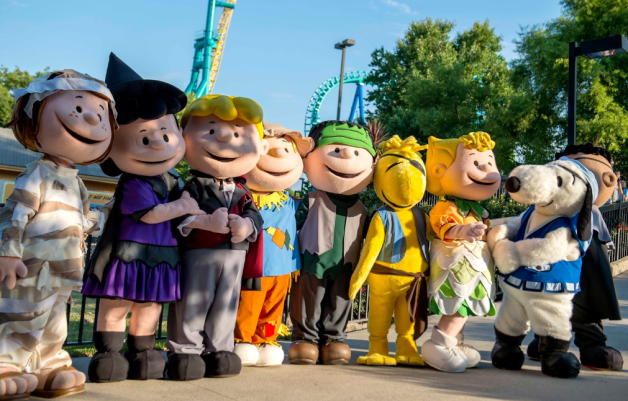 From September 15 through October 28, the Carowinds Amusement Park hosts the Great Pumpkin Fest. This event has something for everyone, and the scare level is low enough for even the most timid of little goblins. In addition to the parks’ normal attractions, enjoy events like a costume parade, foam zone and hay bale maze. The park hosts the event every Saturday and Sunday. With chili for the parents and a generous kids’ zone with inflatables, not to mention live music all day long, The Great Chili Cook-Off in Troutman at the Iredell County Fairgrounds can be a fun family event. This festival is held September 29 from 3 until 8, and kids 8 and younger are free. Enjoy plenty of spicy chili with the chili tastings after the cook-off, and explore the different flavors together as a family. If you haven’t brought your kids to the Lazy 5 Ranch, fall is the time to do so. Until October 28, the Lazy 5 Ranch Fall Festival will host a number of fall activities. From a giant corn box to a straw castle, your kids will love exploring the farm. Try your hand at the pumpkin slingshot before heading out to the pumpkin patch to pick your pumpkins for the year. The farm is more than just a petting zoo, as well. The animals include exotics like giraffes and zebras! If the kids are a little older, give them the taste of the globe this fall. The UNC Charlotte International Festival will bring together people from around the world to demonstrate their culture through art, craft, music, games and food. The event is free and runs from 10 am to 6 pm, and will be held September 29. Which of these sound like events your kids will love? There is still plenty of fall left, so you can make plans to experience several of them!